When does the Spartanburg County Coroner's Office respond to a death? If any suspicion or violence has occurred, the Coroner is automatically notified. Once emergency medical service personnel arrive at the scene and determine"no signs of life" are present. They normally make an attempt to contact a physician to determine the medical history of the deceased. If the doctor will certify the death as natural, the Coroner is not called. If not, the Coroner is notified. What is the role of the Coroner's Office? The Coroner's Office investigates violent (e. Homicide, Suicide, Vehicle Accident Deaths, Falls,etc.) and suspicious deaths as well as those deaths that a doctor does not certify as natural. 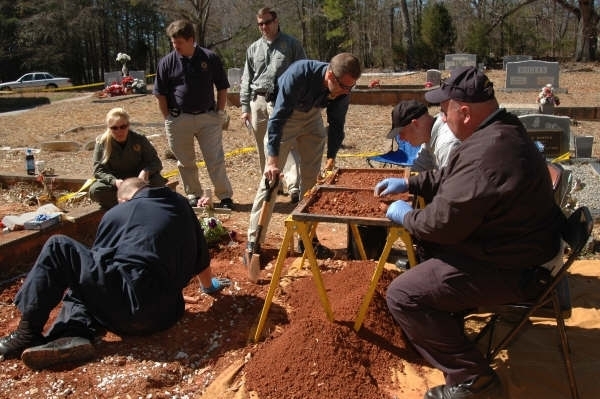 The Coroner does not investigate all deaths that occur in Spartanburg County. How many deaths does the Coroner's Office investigate each year? It varies from year to year but statistics show approximately 1100 deaths a year. Are Coroner's Investigators Police Officers? No, investigators are Law Enforcement officers who conduct a concurrent investigation to determine the manner of death. It takes between 2 to 4 weeks from the day the Coroner's Office mails a supplemental form to DHEC in Columbia. We can not send supplemental reports until we receive all reports such as toxicology and autopsy. The Coroner's Office has no control when these reports are complete. Where can I obtain a copy of a death certificate? he Coroner files certificates electronically through D.H.E.C. Once all reports are finalized, a death certificate can be obtained through your selected funeral home or Vital Records in Spartanburg at 333 East Wood Street, Spartanburg, SC. Their phone number is 864-596-3336. Select a Funeral Home and inform the funeral director that the death is being investigated by the Coroner. We do not select Funeral Homes nor do we make arrangements. The legal next of kin must tell the Coroner’s Investigator which funeral home has been chosen. Sptbg. Regional Medical Center Morgue. Spartanburg County has facilities to receive and safeguard the deceased at this location. Is it necessary for me to come in to make positive identification? My investigator will make that determination on a case by case basis. The Coroner authorizes an autopsy when one is needed to establish the cause and manner of death. State Law requires an autopsy in certain Coroner’s cases involving children 17 years and younger. An autopsy may not be required on adults if past history and the investigation provide enough medical information to certify cause and manner. In any Coroner’s Case, portions will need to be retained for testing. The legal next of kin is entitled to a complimentary copy of finalized cases. Every effort is made to have reports available as soon as possible. Call my office to speak to your investigator about an appointment. South Carolina has a law that provides an opportunity for the next of kin to donate organs and tissues. Life Point is the official organ and tissue procurement organization for contact. (800) 269-9777. Consideration must be given to the Coroner’s case but arrangements can be made if donation is desired. How long will it take before my loved one/friend is released? After all testing and samples are taken. The Investigator can advise on a case by case basis. Consult with the Funeral Home of your choosing soon. Why is your Coroner investigating this Death? State law requires the Coroner to make positive identification, inquire into and determine the cause and manner of all unexpected, violent or unusual deaths. Certain natural deaths may require investigation if a doctor does not certify. SC Code Section 17-5-530 subsection (8) requires inquiry into deaths within 24 hours of admission to a hospital or performance of invasive surgery. Can I get the personal belongings from my loved one? According to SC 17-28-320, the law requires we retain any evidence from a victim for prosecution. Ask your Coroner Investigator if this law applies to your case. The dissection and examination of bone, tissue, organs and foreign objects for the purpose of determining the cause and manner of death. A record of all inquests within the county, together with evidence taken before juries and all proceedings conducted before or after the Coroner's findings. Division of medical and biological science concerned with toxic substances, their detection, their avoidance, their chemistry and pharmacological actions, and their antidotes and treatment.